How do I start forming my professional networks? 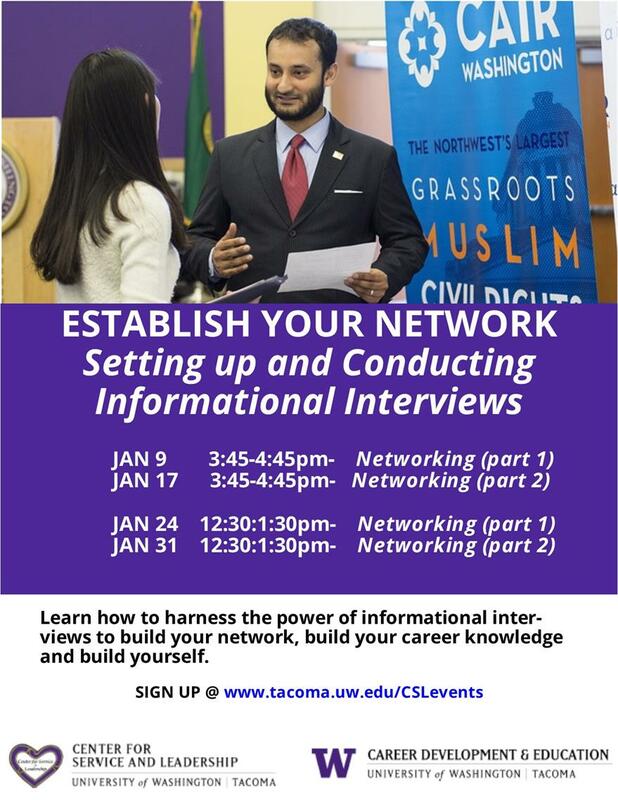 Learn how informational interviews can build confident professional speaking skills and expand your networks. This workshop is hosted by Career Services and the Center for Service and Leadership. RSVP for this workshop today!